2018 PYEONGCHANG OLYMPICS ICE HOCKEY MEN'S TOURNAMENT 'SILVER' MEDAL !!! London 2012 Olympic 'Gold' Medal with Ribbon and Display Stand !!! 1972 Germany Munich Olympic 'Bronze' Medal with Display Stand !!! 1972 Germany Munich Olympic Medals Set-Gold/Silver/Bronze with Display Stands !! 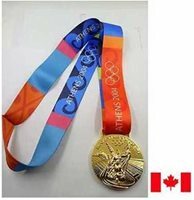 2004 Athens Olympic 'Gold' Medal with Silk Ribbon & Display Stand !!! Russia Sochi 2014 Olympic Medal Set with Silk Ribbons & Display Stands !!! Rio 2016 Olympic Silver' Medal and Ribbons & Display Stand !!! 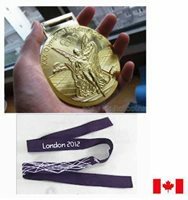 2010 Vancouver Olympic 'Gold' Medal with Silk Ribbon & Display Stand !!! 1972 Germany Munich Olympic 'Silver' Medal with Display Stand !!! 1980 Moscow Olympic 'Gold' Medal with Ribbons & Display Stand !!! 1968 Mexico Olympic Medals Set (G/S/Bronze) with Ribbons & Display Stand !!! 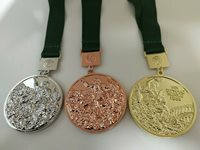 Beijing 2008 Olympic Medal Set (Gold/Silver/Bronze) with 'Silk' Ribbon/Display ! 2006 Torino/Turin Olympic Medals & Ribbons Set - Gold/Silver/Bronze !!! 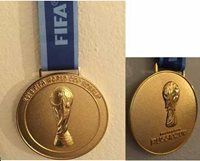 Russia 2018 FIFA World Cup Collectible Medal with Ribbon & Display Stand !!! Rio 2016 Olympic Medals Ribbons Set with Logo Ribbons & Display Stands !!! 1984 Sarajevo Winter Olympic Medals Set with Ribbons & Display Stands !!! 1896 (1st Olympic) Athens, Greece Olympic 'Silver' Medal & Display Stand !!! Sochi 2014 Olympic 'Bronze' Medal + Silk Ribbon & Display Stand !!! 1968 Mexico Olympic 'Silver' Medal with Ribbons & Display Stand !! !